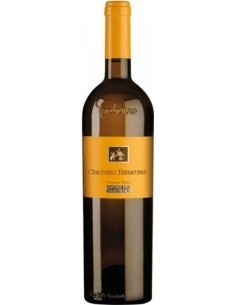 Pendino di Colli di Castelfranci is a Fiano di Avellino DOCG. 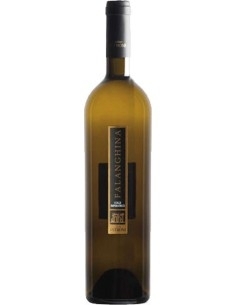 Fiano is an ancient vine known and already cultivated by the Latins in the South of Italy. It is believed that its origin is in the areas of Lapio on the hills east of Avellino. 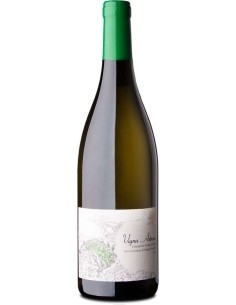 This Fiano has a straw yellow color with intense and fruity aromas and pleasant sensations of freshness and flavor. SURROUNDED BY THE GREEN OF THE TYPICAL VINEYARDS OF THE AREA, THE CELLAR COLLI DI CASTELFRANCI IS A WINE-GROWING COMPANY CREATED BY YOUNG PASSIONATES OF ITS WORK, WHICH BELIEVE STRONGLY IN THE POTENTIALITY OF ITS LAND: CASTELFRANCI, A SMALL VILLAGE IN THE HEART OF HINRINIA IN THE PROVINCE OF AVELLINO. THE COMPANY WAS BORN FROM THE UNION OF THE GREGORIO-COLUCCI FAMILIES, WINEMAKERS ALWAYS AND GREAT LOVERS OF THEIR EARTH, THAT SINCE 2002 COMBINE TRADITION AND TECHNOLOGY, VINIFYING AND BOTTLING THEIR GRAPES AND, WITH THE CONSTRUCTION OF A MODERN WINE, PRODUCE REFINED WINES INTENDED FOR CATERING ONLY. THE ENTHUSIASM OF THE YOUNG COMPANY, THE DEDICATION TO WORK AND ESPECIALLY THE HIGH QUALITY OF THE PRODUCTS, MAKE THE CELLAR COLLI DI CASTELFRANCI ONE OF THE MOST RELEVANT COMPANIES IN THE PRODUCTION OF PRIZE WINES IN THE CAMPANO TERRITORY, WITH ITALIAN EXCELLENCE. 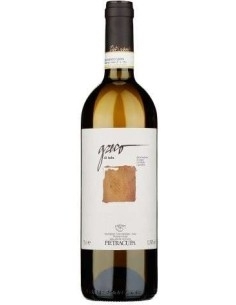 Kratos, Fiano Paestum IGT of the company Luigi Maffini, has an intense straw yellow color, with an odor of exotic fruit, kiwi and honey. 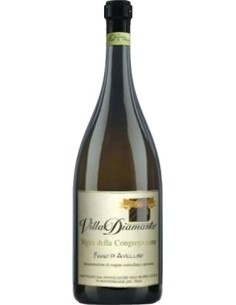 It is soft and balanced to taste, with floral finish and dried apricot. Obtained from grapes harvested from old vine screws, coming mainly from the vineyard, Duke Sanfelice, which gives the name to the wine itself, represents the wine of the Viet Nam tradition in our interpretation.